I arrived in Lagos on Saturday at 4.30am and its been raining ever since. Apparently it will rain for another 21 days. The downpour draws attention to the biggest issue in Lagos: infrastructure. It’s the thing everyone talks about – the inadequacy of the power supply, the road network, drainage, transport and urban facilities. In the rainy season moving around Lagos is even more of a challenge as pools of water form at the sides of the roads and create vast ponds for pedestrians and drivers to negotiate. I’m here for a week to meet architects and organisations we might be able to work with on an architecture and design programme in Nigeria, as part of the 2015 Nigeria-UK season. 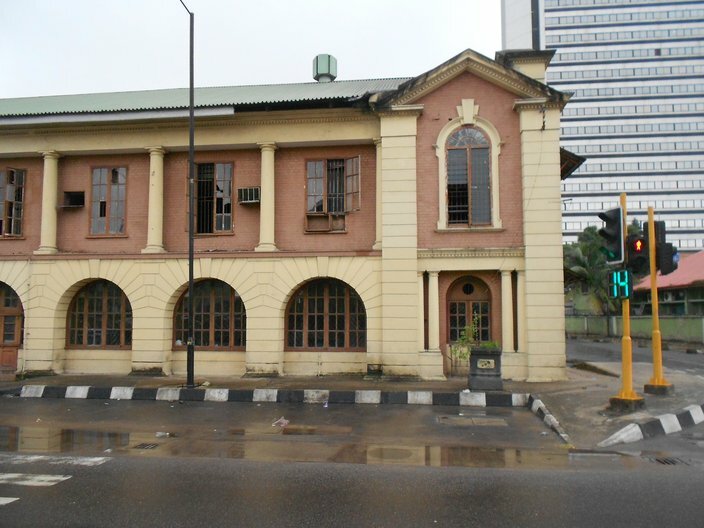 On day one, we met with the organisation Legacy 1995, which was set up by architect John Godwin and others to preserve Nigeria’s built heritage. 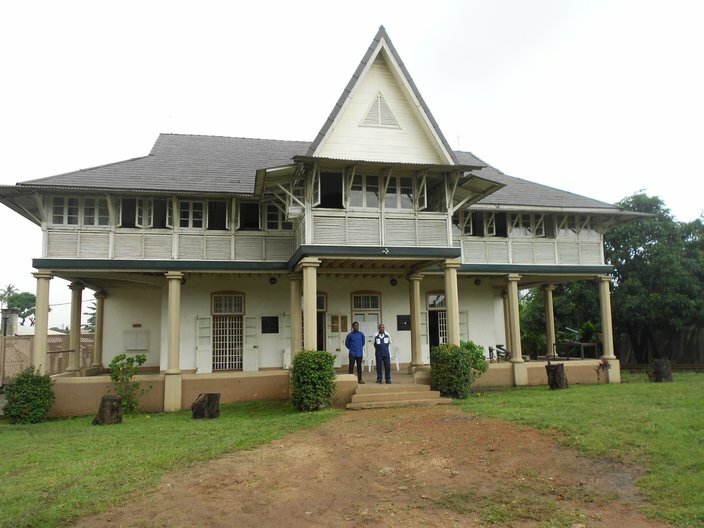 Legacy is based at the Railway Museum located within the Nigerian Railways compound. The curator Seun Adeniyi and Vice President John Ebiekpi showed us round the headquarters at Jaekel House, which has some fascinating objects dating to the beginnings of the railways in Nigeria in 1898. 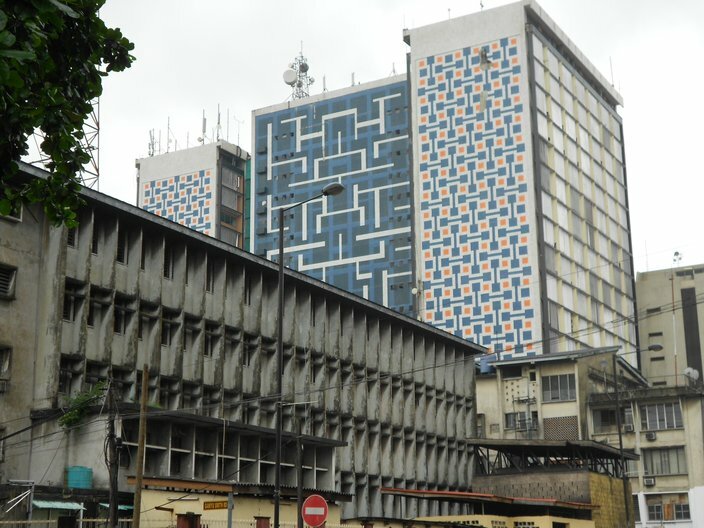 On Sunday, following an early start we visited Old Lagos and John Ebiekpi walked us round a few blocks of the city near the Marina including, Freedom Park – the old prison, now a cultural quarter; the Secretariat, once the office of the Governor General of Nigeria; and the Government Printing Press. I was most struck by the quality of the Modernist buildings – Maxwell Fry and Jane Drew’s City Hall; and a group of buildings from the late 1950s by Nickson, Borys & Partners: the NITEL building (a telecommunications tower with fine mosaics at the lower levels) and a group of buildings around Western House. Most of the buildings are in a bad state of repair. 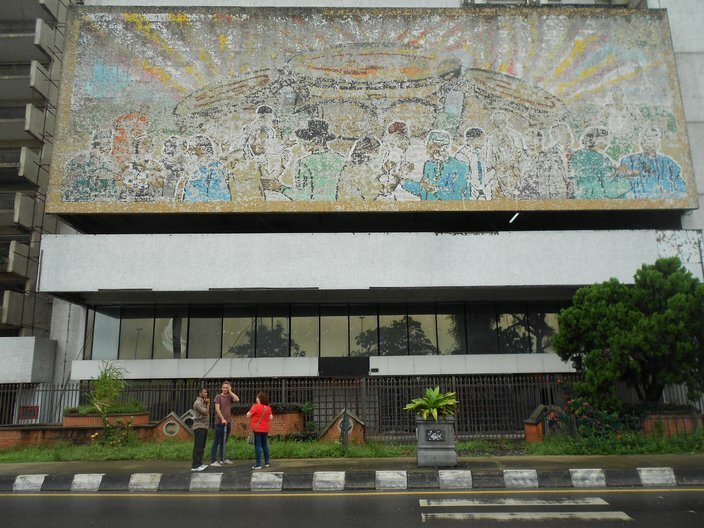 Legacy is concentrating its efforts and limited resources on Colonial era buildings, but I wonder what will happen to the later buildings, which express the commitment of architects to ‘Tropical Modernism’ and the surge of cultural activity and optimism following independence in 1960. In the afternoon, something different: a nature reserve at Lekki. 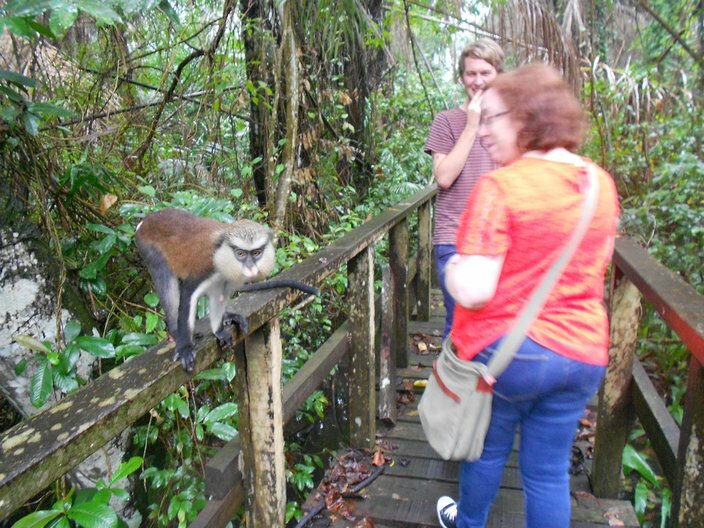 We walked along a slippery wooden walkway in the pouring rain, with British Council Nigeria director Connie Price and Alex Bratt, arts director, leading the way… closely followed by a monkey. The sign for visitors read: ‘Swimming prohibited, survivor(s) will be prosecuted!’. 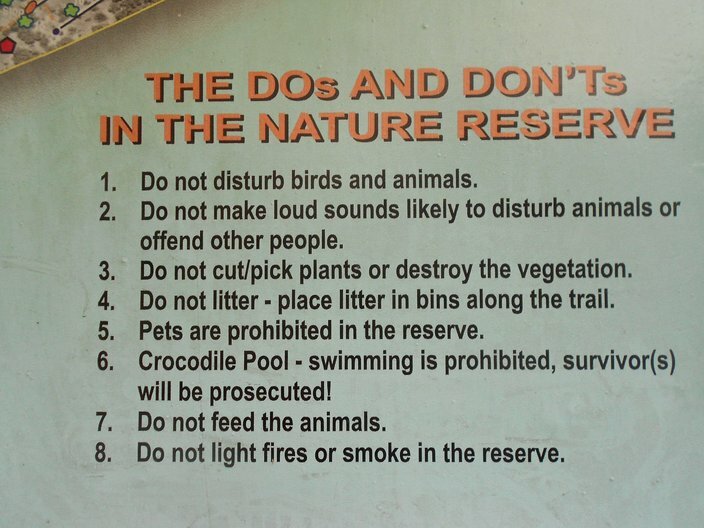 We didn’t spot any crocodiles, which is just as well.